To celebrate National Women’s History Month, we want to take some time to honor Our Leading Ladies: TWO MEN AND A TRUCK®/INTERNATIONAL, Inc. Founder Mary Ellen Sheets and Chair Melanie Bergeron. Without their drive and passion for this company, we would not be where we are today! In the early 1980’s, Mary Ellen’s sons, Brig and Jon, decided to start a moving company to help make some extra money. Being the supportive mother she is, Mary Ellen developed a logo and put an ad in the community newspaper. Who knew drawing a sketch on a napkin would one day be the logo for a growing international company! 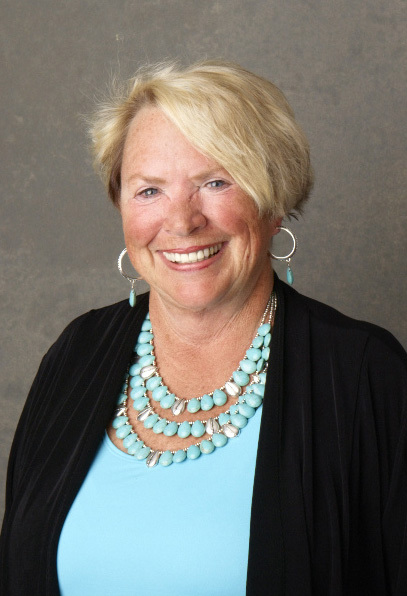 When her sons left for college, Mary Ellen decided to continue the business while still working full-time as a data processor for the State of Michigan. After her first profitable year, Mary Ellen decided to donate her $1,000 profit to 10 different charities giving each $100. This generous act has led to the creation of one of TWO MEN AND A TRUCK®’s Core Values: Give Back to the Community. Mary Ellen received some help from another amazing lady, Grandma Helen Eberly. When Mary Ellen needed a place to keep her trucks, she turned to Grandma Eb who allowed her to park the trucks in her backyard. She not only provided a place for them, but she also helped with other business duties. At the end of the day, the movers would put their move sheets and money in a box on Grandma Eb’s back porch and she would retrieve the paperwork for Mary Ellen. 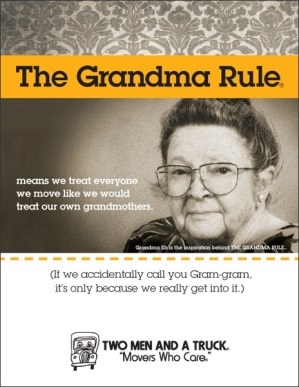 Grandma Eb has become a major part of TWO MEN AND A TRUCK® history and has led to one of the company’s Core Values: The Grandma Rule. 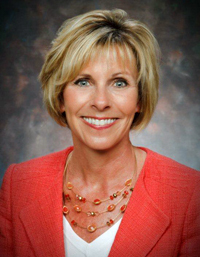 In 1989, Mary Ellen saw the potential of her company and decided to franchise. She awarded the first location to her daughter, Melanie. Back in the 1980’s, Melanie was living in Atlanta and doing very well, but her mom, Mary Ellen, kept encouraging her to start a TWO MEN AND A TRUCK® location. Since neither of them knew if the business would make any money, Melanie decided to have the moving company as her hobby and ran it out of her apartment. Turns out people needed movers and her company began to grow! 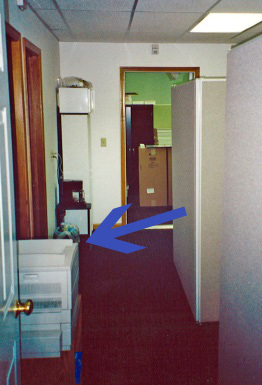 Melanie’s first desk at TWO MEN AND A TRUCK®/INTERNATIONAL, Inc. was a chair pulled up to the copier. Soon though, Melanie began to grow homesick and decided to sell the franchise and move back to Michigan to start another TWO MEN AND A TRUCK® franchise. In 1994 Mary Ellen decided to run for the State Senate and asked Melanie if she would like to become the President of TWO MEN AND A TRUCK®, a position that at the time, was unpaid. She made the tough decision to quit her pharmaceutical sales job and put all her energy toward growing the family business. And she did! Thanks to Mary Ellen, Melanie and all the hard working people who helped develop TWO MEN AND A TRUCK® from the beginning; we would not be the largest franchised moving company in North America. The company is rapidly growing and we are very much looking forward to what is yet to come! We want to give a big thanks to Our Leading Ladies for all their hard work and dedication and for making history. 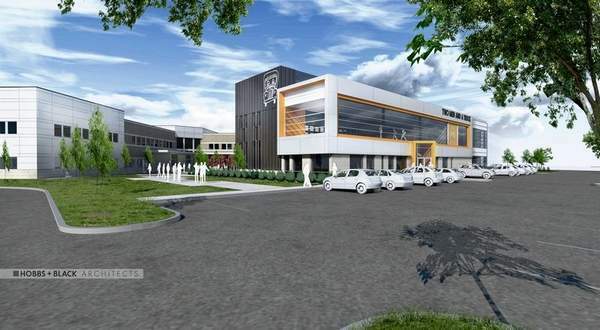 Rendering for TWO MEN AND A TRUCK®/INTERNATIONAL, Inc. plans for expansion.